As the Game Boy prepares to celebrate its 30th anniversary, Nintendo’s beloved Animal Crossing series has just reached the 18-year mark of its existence (well, yesterday it did – we're 24 hours late). Sure, it might not be quite as significant, but it's still worth reminding everyone just how much it has grown over the years. The series has become so popular, there have even been a number of spin-offs over the years. These include the likes of Animal Crossing: Happy Home Designer on the 3DS and Animal Crossing: Pocket Camp on mobile. We’re now waiting for the next big entry in the series to be revealed at this year's E3. I remember my first time resetting my game on gamecube and getting chewed out. I can’t go on like this anymore. I’m not kidding. I need Animal Crossing news. Please Nintendo put something out for us. A glimpse of box art, a trailer, a release date, a glimmer of hope. ANYTHING! I remember the sarcastic animals and absurd fact you were in dept with a greedy racoon! The idea of having four individual saves that interacted asynchronously was brilliant. The best entry by far is Amiibo Festival. I remember how silly I felt for spending so much time picking weeds, before succumbing to the gentle acceptance that mundane tasks can bring a great sense of peacefulness. Especially when accompanied by cheerful animal friends constant support and appreciation. I Own and played all the Animal Crossing games, except for Amiibo Festival. my favorite out of all the games is the original one on Gamecube. i do like the others and they add more stuff after the first game, but there's something special about the original that makes me wanna go back and play it when i'm ready. @Devlind you take that back! I'd love to comment on this, but that's all the time I've got. I've gotta get back to playing Animal Crossing: New Leaf on my Nintendo 3DS. I have it for GC and New Leaf. I just can't get into this series. @Devlind And to think the article didn't even mention it! Hurry up and show us the Switch game! I’m dying from AC withdrawal. I'm just enjoying this time with my wife before Animal Crossing comes to Switch and she is introduced to it for the first time. I've been restraining myself from engaging in intimate relations with AC for all these years...glad the wait is finally over. I remember when we had to petition to get the GC version released here in the UK, especially painful as the Australian version works without any modification on our PAL GC's. And now it's a flagship series for Nintendo. How times change. Well, that’s all the time I’ve got. I’ve got to get back to playing Animal Crossing: New Leaf on my Nintendo 3DS. Back in the Gamecube days we used to have to set a timer in the kitchen because my sisters would fight over whose turn it was to play. Good times. @Cinaclov still remember it, i had to import a copy from the states as it took so long to come over here. I had so much fun with New Leaf on 3DS. Definitely ready for the new game on Switch. I didn't get into Animal Crossing until New Leaf came out. It's a great game for sure, being the mayor of your own town is fun and I enjoyed decorating my house with Mario stuff when I got them! I do wish it worked with in-game time rather than real time, though (i.e. Stardew Valley). I feel bad when I talk to my animal pals and they tell me "where the heck have you been? It's been so long!" @MH4 Hey, that's @ilikeike 's line! It’s a great game series. I’ve spent a lot of time playing it and I try to get on New Leaf every week. Probably my longest played 3DS game I own. I can’t wait for the Switch version, I’m hoping to see more updates on it soon. Today is Reggie's last day. It's (pretty much) Animal Crossing's anniversary. Today would have been perfect for Animal Crossing news. But when the world needed Reggie most... he vanished. Memes aside, happy birthday Animal Crossing! Can't wait to finally see the Switch version! @MH4 It's OK, no harm done. 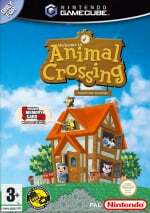 Everyone that still has a gamecube at Nintendolife should boot up Animal Crossing and show how overgrown their town is! I've never played any of the games but I've always loved the art style. I was so happy when they made a stage for Mario kart. I haven't played any AC game so I'm excited for the new one. But a question: If the game unfolds in real time, does one normally run out of things to do within, say, one or two hours straight of play time (based on previous games)? I would love for split-screen multiplayer in the Switch game. In fact, its absence was my biggest disappointment with the Wii game (aside from being almost a carbon copy of Wild World). At least we'll have local wireless, if nothing else. I really hope they do shake things up this time. 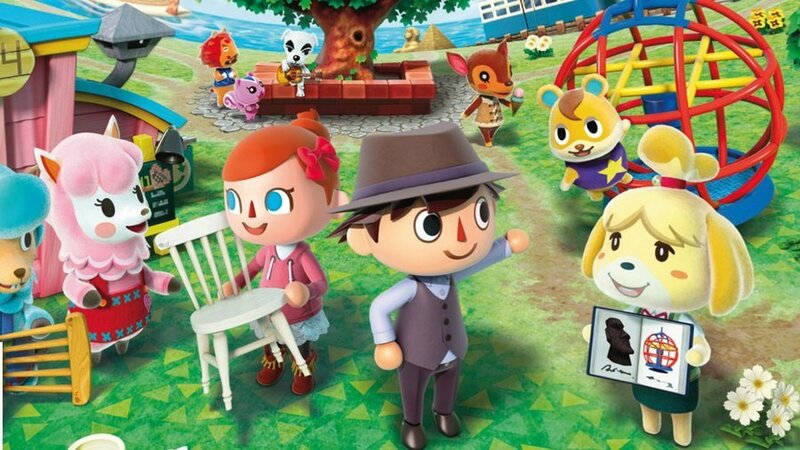 At the very least, the Happy Home Designer elements should be incorporated into the new game. My first experience is on 3DS and started only 6 months ago. I can see the appeal, and only the slow pace prevents me from really getting into. Always forced to view the same old greetings and conversation is a nuisance and should easily skipped. Like the Owl in the museum, he should be able to check and take any fossils with one click rather than go through the tiresome conversation for the 8 billionth time. Time flies when you're catching bugs. @MH4 How dare you steal my incredibly original and creative joke. I'd lecture you about the seriousness of plagiarism, but I've gotta get back to playing Animal Crossing: New Leaf on my Nintendo 3DS. In all seriousness, it's all cool! @Franz Good question: The beginning of the game is slow, there is not too much to do. But as you slowly invest time in the game, the rewards of your efforts start showing. New Leaf was my #1 game until BOTW. But I had to learn a whole different game play style. It is hard to play 2 hours straight, instead, I played about 45 minutes a day . . . for about two years! Yes, I would take a day, or a few days off, but I would keep coming back. The NPC writing, the economy, the building and maintaining the town, not to mention the music: K.K. Slider!--all of it adds up to a great game and a chill rest from other frantic games. Also, there were activities through the year: collecting tournaments, building snowmen, which rewards the player for long term play. It sounds simple, and it is. And it is not for everyone, but if you get hooked, it is a sublime game. @Heavyarms55 Please don't say that! I already put some money down on a pre-order! But you may be right. I am suprised that there has been no real screen shots, no video, etc. I am still hoping there may be a big reveal at E3. @dugan Trust me, I know how you feel, and I too really hope they will surprise us at E3 and announce a July or August release. But having heard nothing about the game since the announcement is giving me a bad feeling. Unpopular opinion I'm sure, but I feel like the original game had a lot more charm than New Leaf. Compare the soundtracks of both games to see what I mean. The only one I own is the OG Animal Crossing. It's a classic. Can't wait for the new Animal Crossing on Switch. Something tells me it's going to be something special to grow the franchise even bigger. @dugan Thanks for the reply. It does sound like a more relaxed game (maybe even more relaxed than Stardew Valley because there’s no rush to try to finish everything before the in-game day ends?) and I’m definitely open to a new experience, especially games that you can come back to again and again. I look forward to see what all the hype is about!